There will be no bible study this Wednesday, April 17 due to Easter week services. 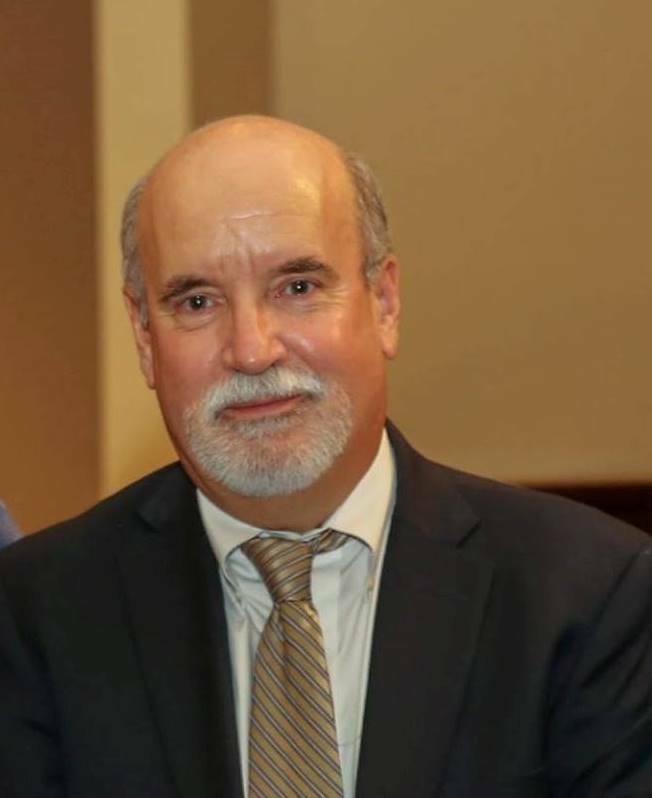 Join us again for Bible Study and Evening Prayer on Wednesday, April 24 at 7:30 p.m. Dr. Riddlebarger will continue our teaching series, Apologetics in a Post-Christian Age with "Make the Case for Christianity." As we prepare to celebrate the events that lie at the heart of the Christian faith, we invite you, your family and friends, to join us for our Easter week services at Christ Reformed Church. Sunday Morning: Dr. Riddlebarger will be preaching from Ephesians 2:1–10. The Easter Sermon is entitled: Because of His Great Love for Us. Our worship service begins at 10:30 a.m.
Sunday Afternoon: We are considering Lord's Day 17 in our study of the Heidelberg Catechism (Q & A 45); The Comfort of Christ’s Resurrection" Our afternoon service begins at 1:15 p.m.
Join us this Wednesday, April 10 at 7:30 p.m. for evening prayer and bible study. Dr. Riddlebarger will continue our class “Make the case for Christianity”. As we make the case for Christianity, we will take up the nature of Jesus' bodily resurrection. Our next Academy class will be held this Friday, April 12 at 7:30 p.m.
Dr. Riddlebarger will be discussing Michael Horton's theology text, The Christian Faith. We are now in chapter twelve, "Being Human," and talking about the Imago Dei (p. 398). Join us this Wednesday, April 3 at 7:30 p.m. for evening prayer and bible study. Dr. Riddlebarger will continue our class “Make the case for Christianity”. This week, we will take up the question of Jesus' claims about himself—his self-attestation. 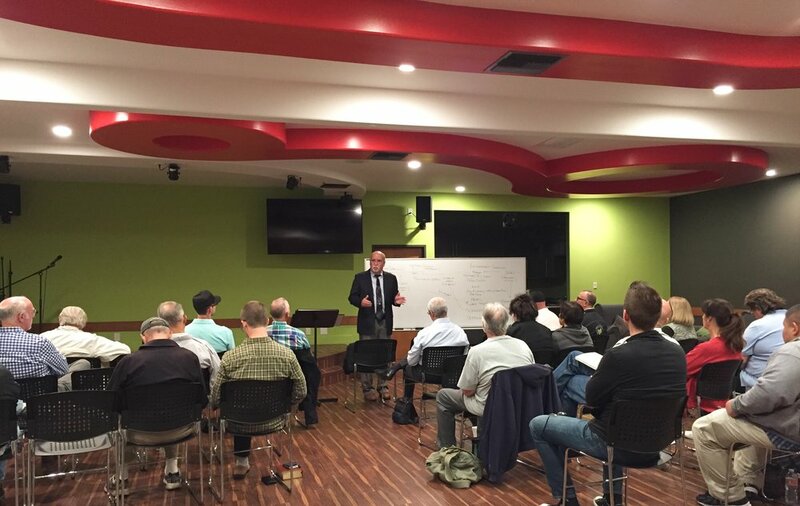 Our next Academy class will be held this Friday, April 5 at 7:30 p.m.
Dr. Riddlebarger will be discussing Michael Horton's theology text, The Christian Faith. We are now in chapter twelve, "Being Human," and talking about the Imago Dei (p. 393). Join us this Wednesday, March 27 at 7:30 p.m. for evening prayer and bible study. Dr. Riddlebarger will continue our class “Make the case for Christianity”. This week, we'll look at the external evidence for the reliability of the New Testament text. Our next Academy class will be held this Friday, March 29 at 7:30 p.m.
Dr. Riddlebarger will be discussing Michael Horton's theology text, The Christian Faith. We are now in chapter twelve, Being Human," and talking about the Imago Dei (p. 385). Join us this Wednesday, March 20 at 7:30 p.m. for evening prayer and bible study. Our next Academy class will be held this Friday, March 22 at 7:30 p.m.
Dr. Riddlebarger will be discussing Michael Horton's theology text, The Christian Faith. This week we will be discussing chapter twelve, Being Human," and talking about the Imago Dei (p. 381). Join us at 7:30 p.m. for bible study and evening prayer. Dr. Riddlebarger will continue our class “Making the Case for Christianity”. This week, we will be talking about textual criticism of the New Testament text. Dr. Riddlebarger is discussing Michael Horton's theology text, The Christian Faith. We are now in chapter twelve, Being Human," and talking about the Imago Dei (p. 375). Join us this Wednesday, March 6 at 7:30 p.m. for evening prayer and bible study. Dr. Riddlebarger will continue our class on Apologetics. We are making the case for Christianity by looking at the text of the New Testament—is it reliable? 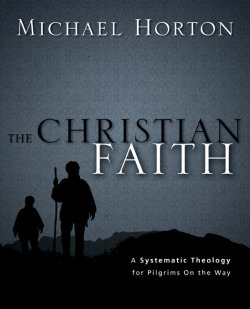 You are invited to join us for our Friday night Academy, March 8 at 7:30 p.m.
We will be discussing Michael Horton's theology text, The Christian Faith. We will be picking up our discussion on page 368, with the relationship between miracle and providence. Join us this Wednesday, February 27 at 7:30 p.m. for evening prayer and bible study. Dr. Riddlebarger will continue our apologetic series "Make the Case for Christianity." This week, we will continue our discussion of the apologetic methodology of B. B. Warfield. Join us on Friday, March 1 at 7:30 p.m. for our guest author, Simonetta Carr. Simonetta will be discussing her book, Broken Pieces and the God Who Mends Them: Schizophrenia through a Mother's Eyes. This is a free lecture and open to all who wish to attend. “When a son, sister, or grandchild begins to behave in unexpected and disturbing ways, family members hope it is simply a phase. For some, it is instead a lifetime illness—schizophrenia. The diagnosis of schizophrenia can bring shock, fear, and worry to everyone involved. But in the midst of the numerous challenges, hope doesn’t have to die. Simonetta Carr was born in Italy and has lived and worked in different cultures. She worked first as an elementary school teacher and then as a home-schooling mother for many years. The author of a number of books, including the award-winning series Christian Biographies for Young Readers, she writes a regular column, "Cloud of Witnesses," for the Alliance of Confessing Evangelicals, has contributed to newspapers and magazines around the world, and has translated the works of several authors from English into Italian and vice versa. She lives in San Diego with her family, where she is a member and Sunday school teacher at Christ United Reformed Church. Join us this Wednesday, February 20 at 7:30 p.m. for evening prayer and bible study. Dr. Riddlebarger will continue his series "Make the Case for Christianity." This week we'll continue our discussion of the apologetic methodology of B. B. Warfield. You are invited to join us for our Friday night Academy, February 22 at 7:30 p.m.
We will be discussing Michael Horton's theology text, The Christian Faith. We left off last time on page 362, Chapter Eleven, The doctrine of Providence. Join us this Wednesday evening at 7:30 p.m. for bible study and evening prayer. Dr. Riddlebarger will continue our class "Make the Case for Christianity." This week we'll discuss the apologetic method of B. B. Warfield.